Why did the Jews want Jesus dead? 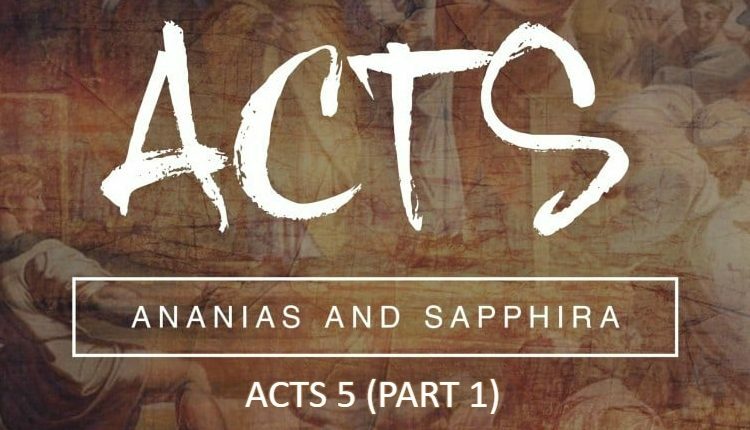 At the beginning of the second chapter of Acts, we saw how the apostles received the promise of the Holy Spirit that the Lord Jesus sent them after being exalted to the right hand of the Father. Peter explained that the last age has begun because of what the prophet Joel has prophesied. 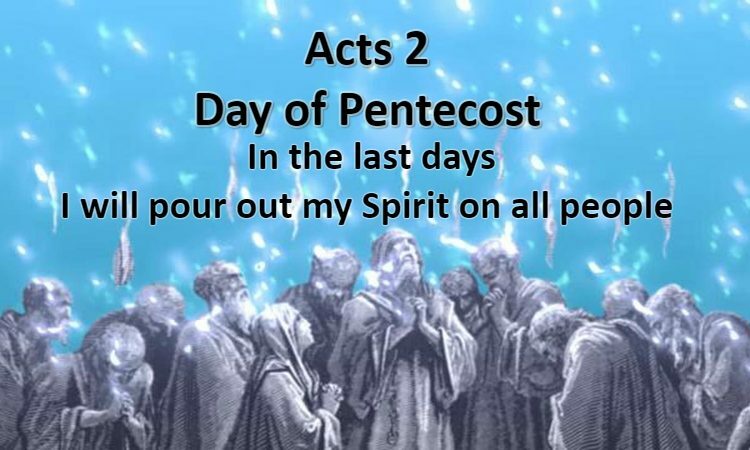 This age starts on the day of Pentecost where the Spirit started to be poured out on all flesh. This age will finish when the sun and moon will be darkened before the day of the Lord. During this last age, everyone who calls on the name of the Lord will be saved. But now we ask what is the name of the Lord? Is it Jehovah or was Peter speaking about another name? Let’s look more in detail into the second part of chapter 2. The apostle Peter now exposes who that name is: Jesus Christ. In his first sermon, he exposes the gospel entirely to the Jewish people who gathered around the 120 disciples. This is a great opportunity to understand what the gospel of Christ is about and what we need to know about Him from the mouth of the first pastor. Peter made sure to remind his Jewish listeners about the man Jesus who walked among them. With the name Jesus being common during that time, he reminds them it was Jesus the carpenter from Nazareth. This man Jesus was attested by God by supernatural miracles, signs and wonders. He did things that only God can do. The devout Jews who were listening to Peter knew who Jesus was, He did these things among them. We need to know this is part of the gospel, Jesus was a real man, He came on earth, He was God with us, among us. This fact is something that is still challenged today with people trying to make Him a myth. But Jesus has come and He was truly a man. Peter goes on to explain that it is they, his Jewish listeners, who have taken Jesus and delivered Him to be crucified on the cross by the hands of the Romans. He wanted to let them know that they were responsible for His crucifixion. Peter also adds another important information by saying that this all was planned and preordained by God from the beginning of the world. Therefore, as part of the gospel, we need to know that Jesus was truly crucified. It was the Jewish people of His time that decided to deliver Him to be crucified according to their Law. But was it only their decision that Jesus is crucified? No, it was God who decided from the foundation of the world. This does not mean that there is a contradiction between divine Sovereignty and human responsibility. There is no contradiction between God’s free will and man’s free will. Peter was saying that in the crucifixion of Jesus, men were doing something evil but God was doing something good. Praise the Lord! It is relevant to remind you, dear reader, why the Jews wanted Jesus to be dead. Jesus claimed 2 things while on earth that the Jews did not accept. First, He claimed that He is the Christ, that He was the Jews’ Messiah prophesied from the Old Testament scriptures. Second and more importantly, He claimed to be Lord. It was this second claim that got Him crucified by the Jews on the charge of blasphemy. We will see that this is precisely what Peter tries to make them understand: that Jesus is both Christ and Lord. What we need to believe is that Jesus is raised from the dead as Christ. He was the Messiah prophesied to the Jews in the Old Testament scriptures. Peter is adamant to make that clear to his listeners. The apostle Peter says that King David was speaking about Jesus Christ and not about himself. It is Jesus’ soul that was not left in hell, it is He who is the Holy One who will not see corruption in the grave. David was not the Holy One. King David’s flesh saw corruption and his sepulchre was there with the Jews of the day to go and visit. Peter wanted them to know Jesus was the Christ, the Messiah of the Jews. It is precisely this affirmation that made them want to kill Him. We need to believe that Jesus is the Christ, the Messiah promised to the Jews. The apostle Peter didn’t stop by saying that Jesus is the Christ, the Messiah of the Jewish people. He had another message about Jesus, that He is the Lord and the Son of God. Not only He is the Messiah promised to the Jews, He is now exalted high above every name. Peter was saying that this all was predicted by the mouth of the prophet and King David. King David spoke about another Lord the Son Jesus to whom the Lord (the Father) said to sit on His right hand. David was not speaking about himself, David did not ascend to heaven. It was Jesus, He is the one who is LORD and exalted! Notice how Peter summarizes by saying again in verse 36 that Jesus is both Lord and Christ, the two claims that got Jesus crucified by the Jews. Peter wanted them to understand that they were the ones responsible for His crucifixion. What they denied about Jesus Christ, God has given His final verdict and has proved them wrong. We need to believe that Jesus is Lord, Son of God and God Himself. After Peter exposes who Jesus is and what they need to believe about Him, the Jews were cut to the heart. Acts 2:37 – Now when they heard this, they were pricked in their heart, and said unto Peter and to the rest of the apostles, Men and brethren, what shall we do? They knew that they did wrong, not only they killed all the prophets sent by God before, they now also killed God’s anointed and Holy one, Jesus Christ, who is not only their Messiah but also the Lord. Imagine the guilt and how they felt, these same men who spat on His face, put the crown of thorns on His head and crucified Him, now knew that they were responsible for the death of their own Messiah and Lord. But at hearing what Peter said, even though what they did was unforgivable, it was an opportunity for them to make things right. They wanted to make things right again. They asked Peter what they must do! This is now the chance for Peter to say what they must do so that they can make be reconciled to God after they crucified Jesus Christ. This is not only what they must do but what we must do too because it is also our sins that put Jesus there, it is our sins which He is bearing on the cross. God planned this ages ago from the foundation of the world. Peter could have said a million different things at this point to answer the question: “what shall we do?“. 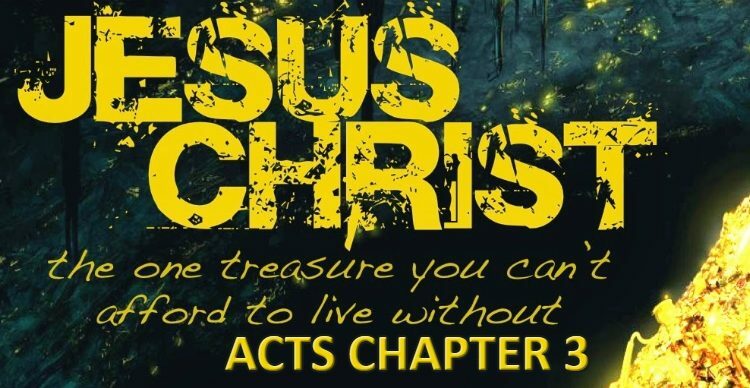 Acts 2:38 – Repent, and be baptized every one of you in the name of Jesus Christ for the remission of sins, and ye shall receive the gift of the Holy Ghost. In other words, by the word “Repent“, God is telling us through the apostle Peter to change our minds about sin, to think again and to change direction. He also says to us to “be baptized every one of you“. In other words, get cleaned up from our sins by baptism in water. That should tell us that baptism in water is not an option but a command. Evidently, this is all done in faith. And these devout Jews believed what Peter said to them, otherwise, they would have never asked: “what shall we do”. In return, God will do for us something amazing and beautiful. His grace will be poured out on us. He will give us the gift of the Holy Spirit to deal with our future life: with His Spirit in us, we are now His adopted children and with the help of His Spirit, we will be able to live a Holy and fruitful life according to God’s plan. The promise is for them and their children (meaning descendants and not babies) and to ANYONE, as many as the Lord shall call. If we repent, believe and are baptized, we will be forgiven and we will receive the Holy Spirit. Many churches use the word “children” to imply that we can baptize babies. Peter says that the promise is to anyone whom the Lord God will CALL. Babies cannot hear the call. Babies also cannot repent and believe (Acts 2:38). Anyway, not from my experience with the babies I met. Don’t get me wrong, I don’t mind if a baby is baptized as long as they hear the gospel of Christ, repent and believe in His sacrifice on the cross. With today’s churches, we sometimes don’t know what lifestyle we should adopt in order to live a true Christian life. But glory to God, Acts 2 even tells us what they the new believers in Christ did. 41 Then they that gladly received his word were baptized (this is the way in into the faith) : and the same day there were added unto them about three thousand souls. 42 And they continued stedfastly in the apostles’ doctrine (teaching, Bible study and sound doctrine) and fellowship (sharing the same things, love, Spirit and possessions), and in breaking of bread (breaking bread and sharing food), and in prayers (building a real relationship with God through prayer). 43 And fear came upon every soul (healthy fear and reverance of the Lord): and many wonders and signs were done by the apostles. 45 And sold their possessions and goods, and parted them to all men (sharing in fellowship), as every man had need. 47 Praising God (giving praise to God), and having favour with all the people. And the Lord added to the church daily such as should be saved. My friend, Peter’s first sermon is a work of art. 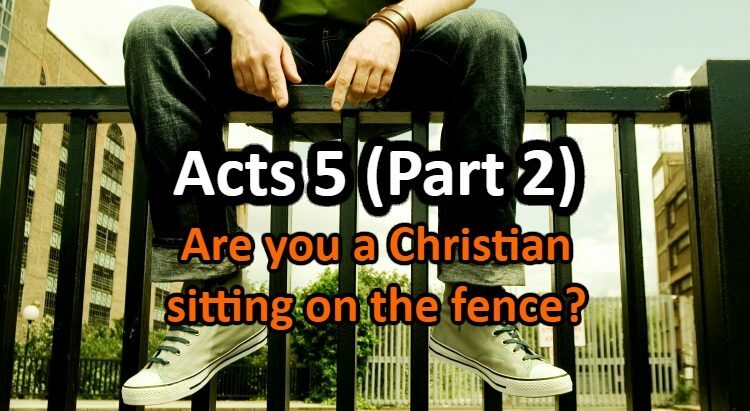 We can take that second part of Acts 2 and call it the gospel according to Peter. We need to believe who Jesus is and what He came to do on the cross. We need to repent, believe and be baptized in the name of the Father, the Son and the Holy Spirit. If we are serious about God, we will not have a problem being baptized in water. If Jesus did it and He had no sin, why wouldn’t we do it? If Jesus was willing to go to the cross for us and die to save us and if we believe in Him, we would have no problem going under water for 3 seconds for Him. If we repent, believe and are baptized in the name of the Lord Jesus, God will forgive our sins and will remember them no more. He will erase our past sinful lifestyle and will give us a new start with a clear conscience. He will also give us His Holy Spirit in us to help us with the future. We will be able to overcome through Him and live Holy lives. My friend, come to Jesus Christ in seriousness of heart, repent of your sins. The choice is yours if you believe!